oh god i don't think i could wait nearly 4 months. Cant wait to see the Red Viper on the small screen. I just finished A Dance with Dragons this morning. Excited to see what's coming up on the show but damn I want another book to be released and GRRM hasn't even finished the next one yet. You have no idea AND I CANT FIND THE GOD DAM DUNK AND EGG TALES!!!!!!!! Some cast members, the producers and GRRM talking about season 4 to some degree. IMO a lot of the characters aren't how I pictured them being, not that it's a big deal. I'm sure it was hard to find quality actors who fit the descriptions that were willing to stay on 4-7 years. I agree with that but also agree that most of the actors have been great. I saw the first 3 seasons before reading the book so seeing some of the descriptions of characters threw me off. I kind of wish i read the books first so i could create the experiences and people myself instead of now having a face and look to everything. That said i prob wouldn't know about the books if not for this phenomenal series. The first one "The Hedge Knight" can be found in a collection of his short stories called Dreamsongs volume 2. It is about 20 dollars for a bunch of short stories. The other two are scattered in more of his short story anthologies. The actual novels are out of print and cost hundreds on ebay **** that. There are also those graphic novels which follow the Tales of Dunk and Egg, but I don't know too much about those. I've already seen Spartacus and although it was good it got really repetitive after awhile. 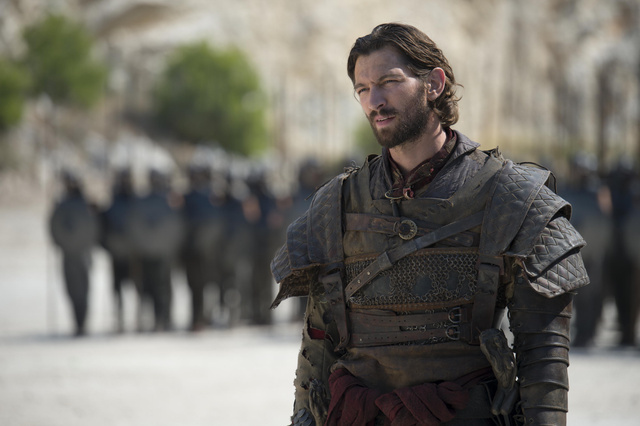 Not 100% sure, but from reading the commentary, they recast Daario and that individual is playing him now. It's part of Daernys' storyline. They got rid of the d-bag with the **** eating grin. The first fool to play Daario just up and left the show? Wow, I guess seeing Emilia Clarke naked on set would ruin me as well. I doubt he just left. I would imagine they wanted to recast. SN43 if I could give you a dozen likes for that I would. Got me pretty pumped up but I have to get HBO back. Cut a bunch of **** off the internet/cable bundle during down time and not being home. GoT comes on sunday nights right? The Wire is a better series. That's going to rustle some people and probably get standyourground banned.